Summary (from the inside flap of the book): Connor and Lev are on the run after the destruction of the Graveyard, the least safe haven for AWOL Unwinds. But for the first time, they're not just running away from something. This time they're running toward answers, in the form of a woman whom Proactive Citizenry has tried to erase from history itself. If they can find her and learn why the shadowy figures behind unwinding are so afraid of her, they may discover the key to bringing down unwinding forever. 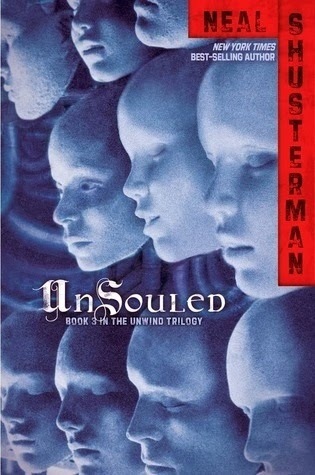 Review: Ah, book three of a dystology (a new term for me, did Shusterman make it up?). 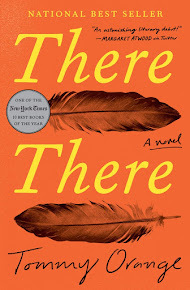 I have been eagerly awaiting this book and am not surprised that I liked it so much. I also bought it for my brother on his Birthday as he is also reading the series. Reading Unsouled is visiting old friends and issues; it's a place I like and a place where I am comfortable. That isn't to say nothing is new. Each character has new dimensions, secrets, and background that are revealed in this book, rounding out their personalities and intentions. We also meet some new characters, the scariest of which are Nelson, the Juvie Cop turned Parts Pirate, and his tag-along companion, Argent. These two totally freak me out! A wonderful new character is Grace, Argent's sister. I love her outlook on life, her strategizing, and her observations from the outside. The characters also travel a lot more in this third book: from New Orleans to New York; from a Chancefolk reservation to the city of Akron, Ohio; and all across the lands in between. Travel allows them time to talk, to think, to reminisce, and to pick up new information. I also like that we learn the origins of unwinding in this book. We learn more about the war, the Accord and the science behind it all. All in all, I am so happy after reading this book. I recommend this series to adults and teens often, telling them it is SO disturbing and SO good.